Advanced Trauma Life Support Certified ATLS - August 2004. Advanced Trauma Life Support Certified ATLS - August 2008. "Perspectives in Managing Primary Brain Lymphoma"
"Experience with Stereotaxic Brain Biopsy"
CAMC/WVU Faculty Research Day with Robert Clubb, M.D., Ph.D.
"What's New in Treatment of Subdural Hematomas?" "Head Trauma in the 1990's"
"Hearing the Need.... Answering the Call"
"Neurology Update - Central Cord Syndrome"
"Neurosurgical Treatment of Central Nervous System Infections"
"TBI Initial Interventions: Injury to Stability"
"Differential Diagnosis of Spinal Cord Syndromes"
In Patients with Aneurysmal Subarachnoid Hemorrhage"
"Neurological Evaluation and Treatment of Back and Extremity Pain"
"Physician-Assisted Suicide A Critical Analysis --Pro's and Con's"
"Subarachnoid Hemorrhage: Defusing the Bomb"
"Deep Brain Stimulation for Movement Disorders"
"Mini Medical School for the Public"
Physicians Alliance of West Virginia annual meeting. Brian Snelling, Michael Castello, D.O., John H. Schmidt III, M.D. David Vaziri, M.D. & John H. Schmidt, III, M. D.
West Virginia State Medical Journal, Vol. 89, No. 10. 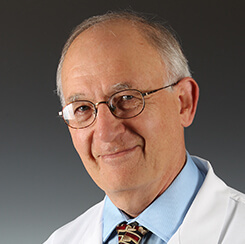 John H. Schmidt, III, M.D. and Bryan Richmond, M.D. BK Richmond and John H. Schmidt, III, M.D. John H. Schmidt, III, M.D., F.A.C.S. Journal of Neurosurgery, Vol. 82, No. 3 . Richard K.